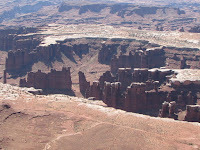 The Grand View Point trail is located in the Island in the Sky District of Canyonlands National Park west of Moab, Utah. Canyonlands National Park is about 120 miles from Grand Junction, Colorado and 32 miles from Moab, Utah. 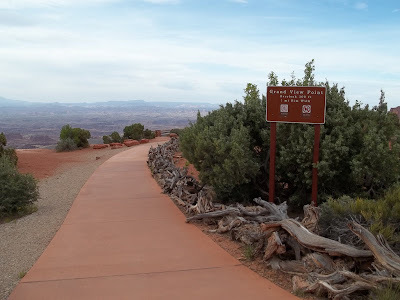 Grand View Point is the southern most location that you can drive to in the Island in the Sky District of Canyonlands National Park. 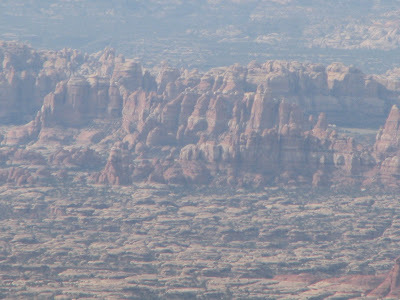 Views that you can take in from the overlook include the Needles District, Maze District, the White Rim Road, and gorgeous views of Monument Basin and distant mountains. The first part of the trail to the overlook is wheelchair accessible. The overlook is within a hundred yards or so of the trailhead. Monument Basin is probably the first thing that stands out when you first peer out from the overlook at Grand View Point. If you look down the canyon and into the distance you can get a glimpse of the green riparian environment along the Colorado River as it snakes toward the confluence of the Green River. 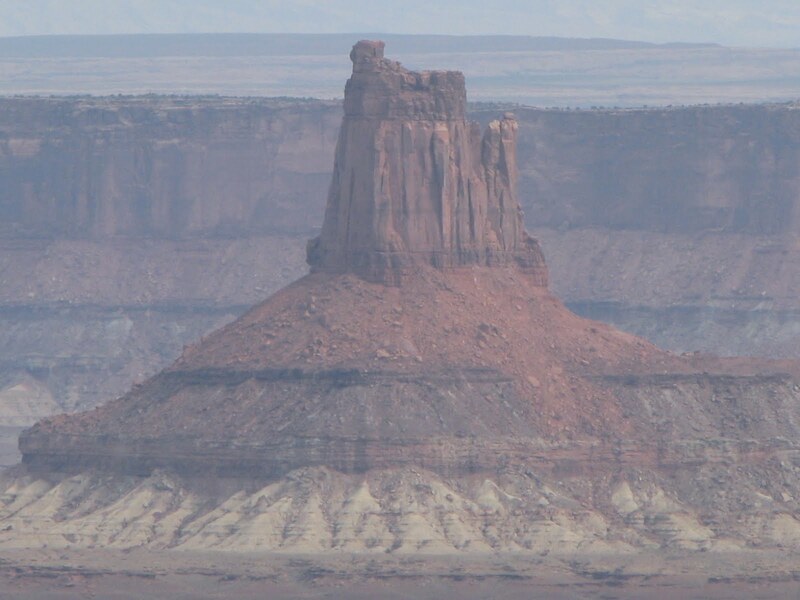 Across the Colorado River you can see into the Needles District of Canyonlands National Park. 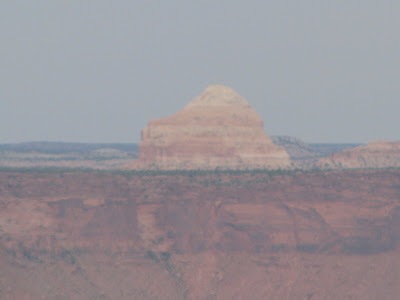 There is a hiking trail that runs from the overlook out to another point to the west. 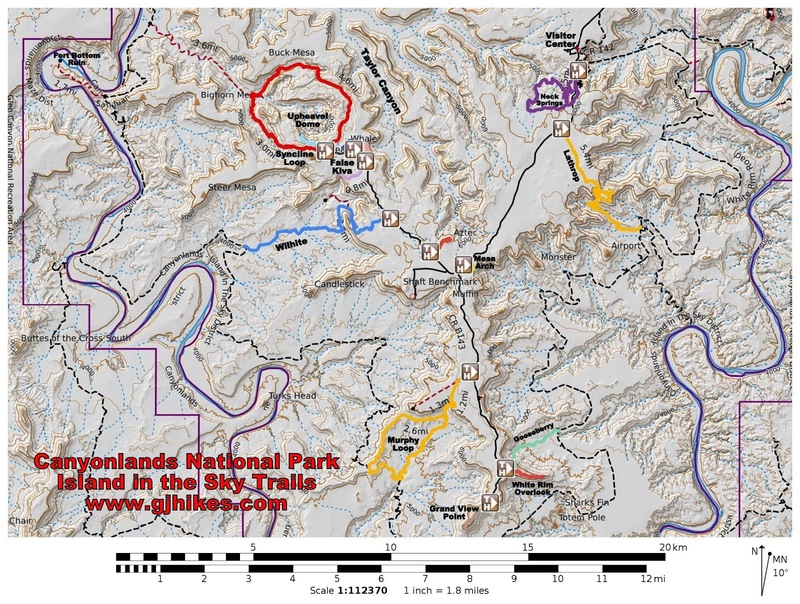 The total round trip distance to the point and back is just over a mile and a half. 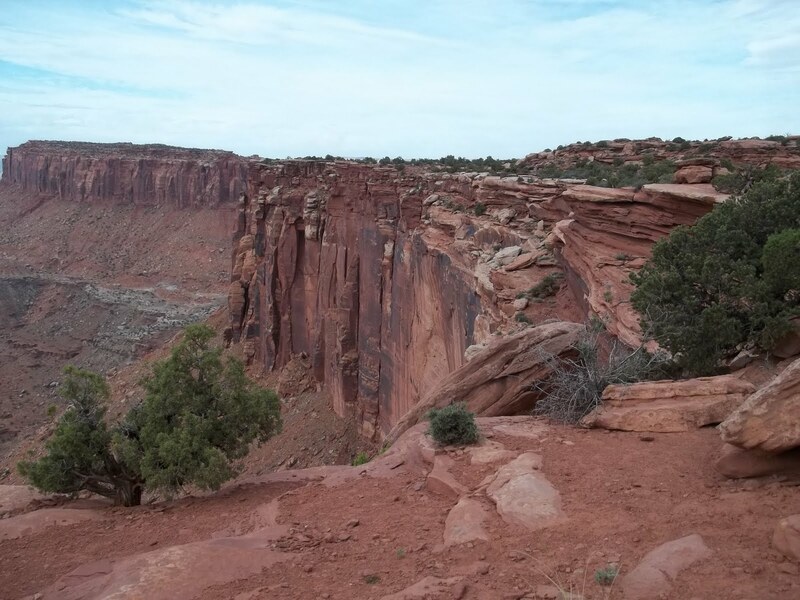 It is hard not to walk over to the edge in places so you can probably plan on a little more distance to allow for exploring. The first part of the trail runs along the edge of the rim. It is set back at a comfortable distance from the cliff. 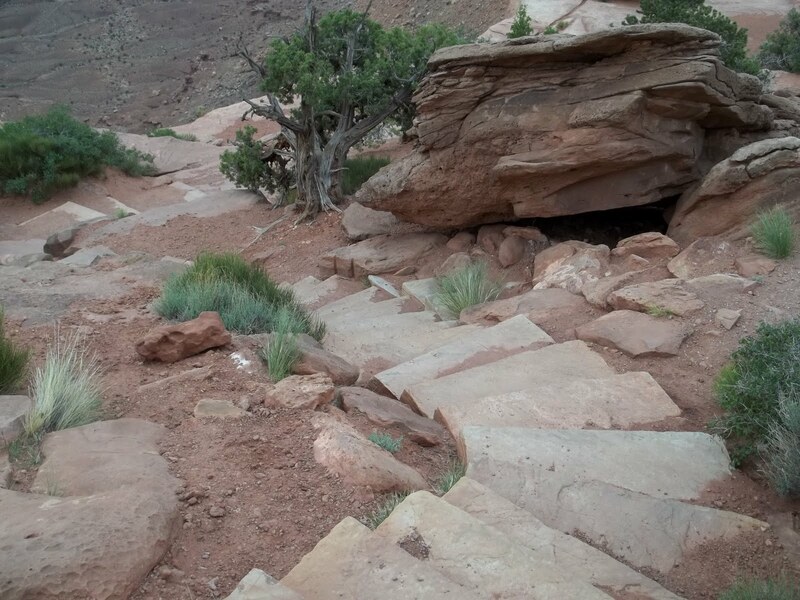 The trail is mostly flat and is well suitable to smaller children although you will need to keep them in hand around the cliffs. The end of the trail stops at a point where you can view the canyons of the Green River on one side and the Colorado on the other. This prominent light colored rock to the west is called Cleopatra's Chair. It does seem to have a regal look to it. Back toward the north you can get a good view of Candlestick Tower. 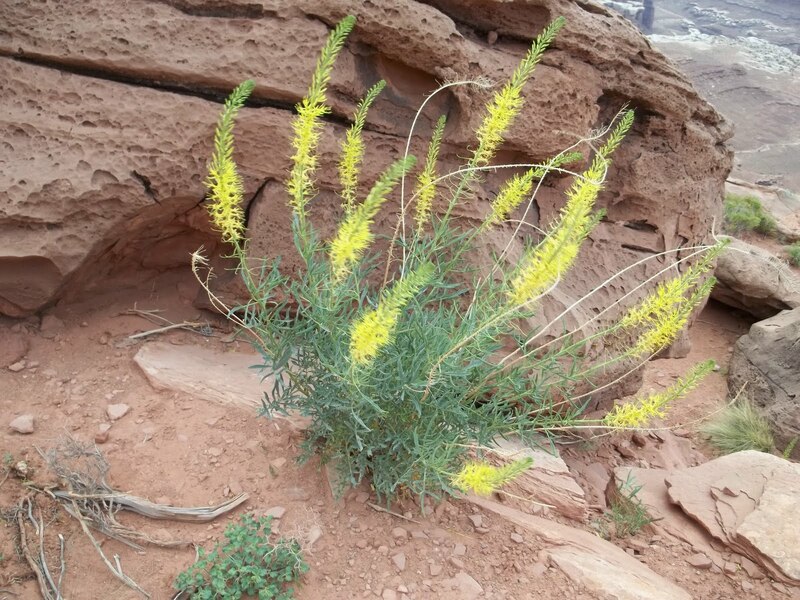 The point is adorned with many varieties of flowers including Desert Princess Plume. 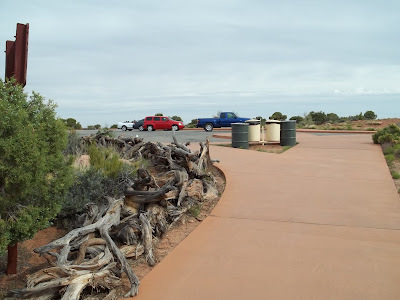 I personally feel that Grand View Point is one of the four must see sites in the Island in the Sky district along with Mesa Arch, Aztec Butte and Upheaval Dome. 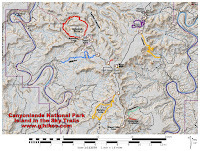 For visitors that have a limited amount of time and that need to stick to the easier trails those four hikes will make the trip more worthwhile. 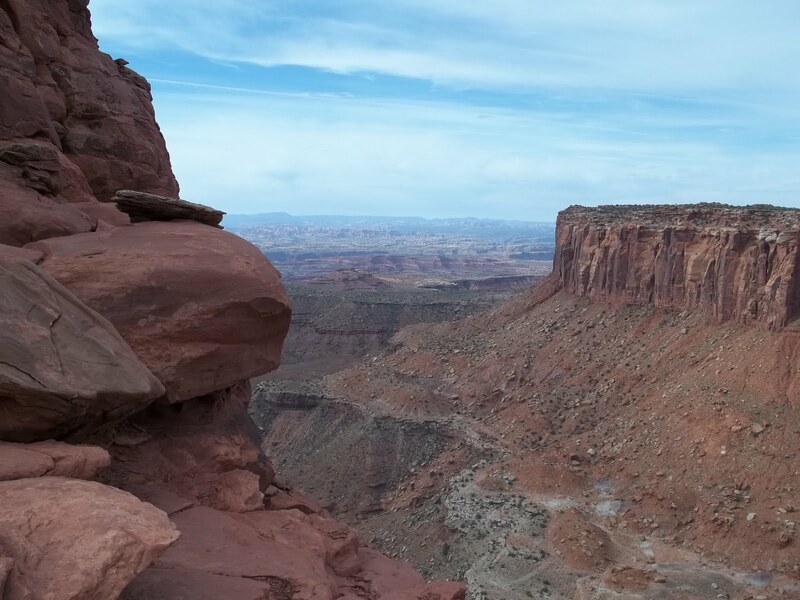 With a stop at the Visitor Center and a quick drive to the Green River Overlook you should leave with a good appreciation for the Island in the Sky District of Canyonlands National Park. If you would like to see it for yourself then all you have to do is 'Take a hike'.